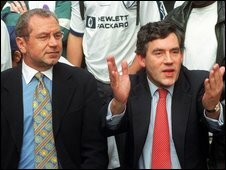 Multi-millionaire businessman Sir Alan Sugar has been made enterprise tsar in Gordon Brown's cabinet reshuffle. Sir Alan is set to be nominated for a seat in the House of Lords in order to allow him to join the government. Having made his fortune through television set-top box maker Amstrad, his profile has rocketed through his starring role in BBC's The Apprentice. Famed for his "You're Fired" catchphrase, Sir Alan said that the prime minister should stay in his job. "A lot has gone on in the past few weeks, and he is resolute in his position and is going to see out his governance and, I think, quite rightly so," he said. "We need to get the economy moving again and, as far as I'm concerned, you couldn't have a better person to do that because of his background as a chancellor. "Having had the pleasure of meeting past prime ministers I can tell you, for what it's worth, that this fellow should stay in place. "What needs to be sorted out is the economic climate, small businesses and other enterprises." He will work with Lord Mandelson in an expanded business ministry. The Department for Business, Innovation and Skills has been created to "build Britain's capabilities to compete in the global economy". It merges the Department for Business, Enterprise and Regulatory Reform with the Department for Universities, Innovation and Skills. Lord Mandelson will become the second most important member of Cabinet with the title First Secretary of State, a role previously held by deputy prime ministers John Prescott and Michael Heseltine. Sir Alan is a long-standing friend and supporter of the PM and is also a member of the Business Council for Britain, which advises government on issues affecting enterprise and the economy. Asked about the resignation of former Work and Pensions Secretary James Purnell, Sir Alan said that some people would always "jump ship". "There are always people, not only in politics but in business that don't agree with certain things. "One person writing a letter doesn't mean that everyone is collapsing like a pack of cards." 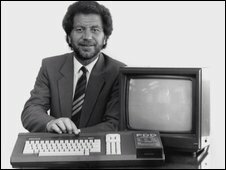 Having started out selling car aerials and cigarette lighters, at the age of 21 he launched his own electronics company, Amstrad - Alan Michael Sugar Trading - in 1968. The firm floated on the stock market in 1980, its core business based on hi-fis and the groundbreaking PCW8256 personal computer. By the age of 40 he was worth about £600m, making him the 15th richest person in the UK. His career has not been without blips and the stock market crash of 1987 slashed the value of Amstrad to £197m, including a record one-day fall of £400m. The company's fortunes took years to bounce back. It was sold to BSkyB in 2007 for £125m. His involvement with Tottenham Hotspur also ended badly. Hailed as a saviour at first, he invested heavily, paying off £20m of debts but his relationship with the fans collapsed after he sacked manager Terry Venables - acrimony he said left him feeling "as though I'd killed Bambi". Sir Alan sold his shares in the club in 2001, after death threats to him and his family. Amstrad has also had some less-than-successful products - including the PenPad, an early type of electronic personal organiser, and videophone - which combined phone, video calling and e-mailing - both of which failed to capture the public's imagination. Much of Sir Alan's wealth now comes from his extensive property empire. And despite his feisty image, Sir Alan Sugar is heavily involved in charity work, and has long been a supporter of Great Ormond Street children's hospital.